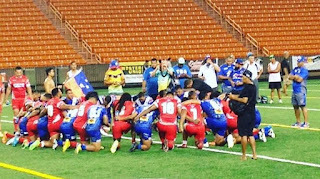 The Fiji and Samoa Residents rugby league teams had comprehensive victories in the Ohana Cup in Hawaii. RNZ reports Fiji defeated the Canada Wolverines 26-12 in a full test match, despite only using locally-based players, while Samoa Residents thrashed their Tongan counterparts 40-6. 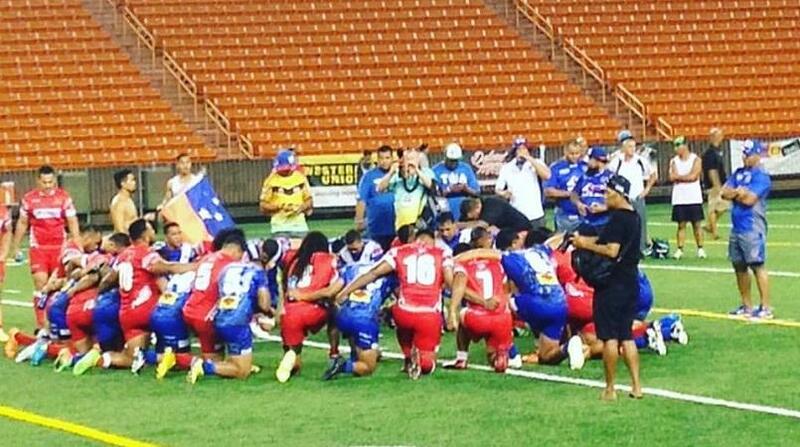 Tonga were also beaten by Fiji in Suva a week earlier and went into the match with a number of players unavailable. Team manager Toa Kaufusi said they still played ok but the Toa Residents were too strong. "I think the Samoans came totally prepared because they brought players from New Zealand and Australia to play in their team so it's all good." Meanwhile the Papua New Guinea Hunters were thumped 40-16 away to the Northern Pride in Cairns on Sunday in their latest match in the Queensland Cup. The Hunters second straight defeat - both away from home - keeps them in fourth place on the ladder. The Redcliffe Dolphins remain on top after thrashing the Central Queensland Capras 42-0, while the second placed Burleigh Bears were 24-12 winners at Easts Tigers. The PNG Hunters host fifth-placed Sunshine Coast Falcons on Sunday in the final round of the regular season, where a win would complete an unbeaten home stand at the National Football Stadium.